I just wanted to let SGS know, I ordered the struts yesterday and they arrived today .I fitted them in about 2 minutes, now the rear door of my 2007 Mondeo hatch back stays up. I was quoted from Ford £48.00 plus vat for each strut, SGS £12.99 plus vat each strut. How happy am I! Thank you for the service on my Mondeo gas struts order. Ford Mondeo Mk2 struts arrived today. Thanks for very prompt service - much appreciated. Just to say thank you for advice over phone and very prompt delivery of my Mondeo gas struts. Ordered 16/1/12 arrived 17/1/12 great service . Had fitted same day. Thank you once again will pass your company onto all. I just wanted to thank you both for the excellent service and the Mondeo boot gas struts you and your company have delivered. The information you supplied was spot on, and the sales service provided was excellent. On top of extremely quick delivery and a hassle free fitting needed to replace the gas struts delivered, the whole experience has been truely astonishing. I will be happily recommending you and your company/products to whoever needs them. Thanks again and a Merry Xmas to you both. Many thanks for sending the Mondeo boot struts so rapidly. I have fitted them and they are fantastic…no more sore heads. Thanks very much for your excellent service. I would just like to say how pleased i was with the telephone support and incredible fast delivery of the Mondeo tailgate struts. Many thanks once again. I have passed on your details to my colleagues and friends. Many thanks received my Mk3 Mondeo gas struts and fitted them. Brilliant service. Manufacture of the Mondeo began in 1993 to exploit a niche in the large family car market. Renowned for being particularly safety-conscious, the Mondeo was one of the first cars of its class to provide a driver’s airbag; power steering, central locking and electric front windows also come as standard. As the fourth phase of the Mondeo is in its prime, it is a well-built, well-equipped car with smooth handling which is great fun to drive. Furthermore, already competitive pricing has improved further. Despite each generation being more upmarket than its predecessor, each new version is cheaper to buy than the equivalent version of the previous Mondeo. Our Ford Mondeo gas struts are designed to fit models manufactured as early as 1996, so you’re sure to find the Ford Mondeo boot struts and Ford Mondeo tailgate struts you need here at SGS Engineering. When you shop with us, you can rest assured that your Ford Mondeo boot struts and your Ford Mondeo tailgate struts will last for years to come, as all of our car parts benefit from a two year extended warranty as standard. 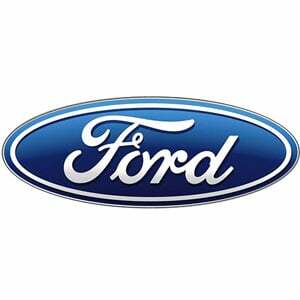 Browse our wide range of Ford Mondeo gas struts and place an order online with us today.